Mark Sundeen profiles families walking the talk of sustainable living in The Unsettlers. In a time where progressives rage against an American system seemingly out of control, it's hard to know how to live. 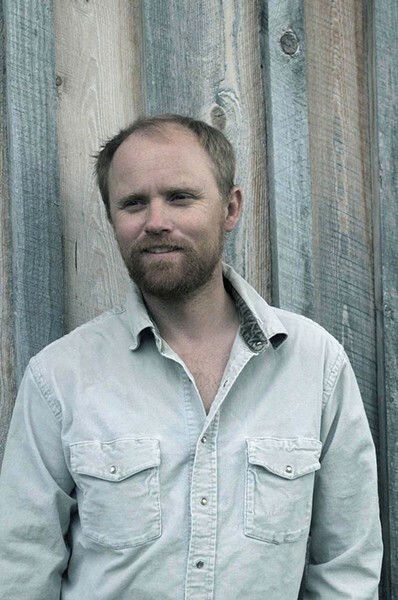 Author Mark Sundeen has found himself uniquely fascinated with people who decide to live as far outside that system as possible. In his 2012 book The Man Who Quit Money, Sundeen told the story of Daniel Suelo, who decided to step completely outside of the economy and live by foraging, bartering and living in the caves of southern Utah. His latest book, The Unsettlers, is an attempt to show that such bold decisions don't have to be limited to people living a solitary existence, and can include being part of a family. And in all these cases, the pull was following people living their principles to the fullest. "I guess I've had this feeling of powerlessness," Sundeen says in a phone interview, "because I feel like I'm totally dependent on the industries that are destroying our way of life and our planet, specifically food, fuel and finance. So with that sense of being stuck in a cycle ... I went out to find people who had done something to excise themselves from this global economy." In The Unsettlers, he explores three primary case studies in such dramatic independent living. Ethan Hughes and Sarah Wilcox formed The Possibility Alliance, a sustainable community near La Plata, Mo., where they live with their children. Olivia Hubert and Greg Willerer founded an urban farm called Brother Nature in the "food desert" of Detroit, Mich. Luci Brieger and Steve Elliott have spent nearly 40 years farming and raising a family in Montana, mostly consuming only what they produce. They weren't the kind of subjects he initially planned to investigate, however. "I went out expecting to write a book mostly about people who were off the grid. I was expecting to write about mountain men, maybe that old Vietnam vet who lives in a cabin," Sundeen says. "I came to see that that is no longer in itself an act of dissent. You have people living in total comfort, because of technology, with their satellite modem, solar panels, and not only that, but they're still totally tied into the global economy through commuting or through telecommuting. I came to the conclusion that the off-grid commuter is just a suburbanite with a longer driveway. And I became more interested in people who were trying to create alternative systems and economies." The Unsettlers' subjects also challenge simple binary notions of how such "back-to-the-landers" must think politically. Sundeen describes most of them as having "a strong libertarian streak, in that they're very mistrustful of government." They interact happily and respectfully with neighbors who might have very different political views, and the feeling generally appears to be mutual—a unique example in a world where polarized politics are assumed to be the norm. "I listen to a lot of Rush Limbaugh and Christian conservative radio when I'm driving around, and they're always saying that liberals are hypocrites," Sundeen says. "And to a certain extent, that's very true: 'I'm opposed to oil and gas, but I'm going to spend all my day on my computer, using fossil fuels to power my computer, so I can grandstand on social media.' So I do think that conservatives can and will respect the people in my book, because they walk the talk. "I was interested by the fact that some of the things [my subjects] complained about ... are the same thing Trump voters were saying: that elites are just consumers, and they don't understand how things are produced. And as a result they seem kind of feckless and spoiled." 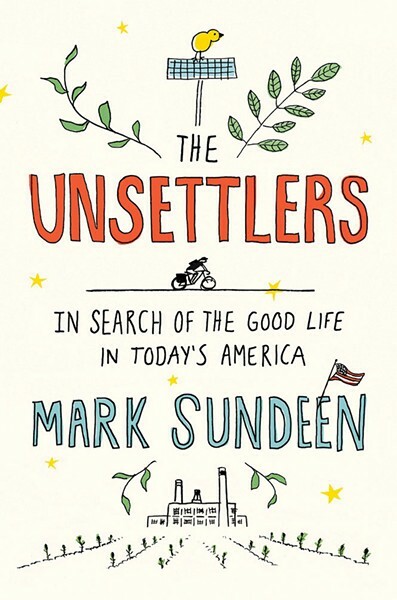 But even within the pages of The Unsettlers, Sundeen is careful to address the reality that most people won't live in such an extreme way, and that it's not necessarily about suggesting his subjects are role models. "With these three couples, they love the work; they're not wearing a hair shirt and being martyrs," he says. "They are pursuing their dream. It just so happens that their dream is so unlike the rest of our dreams." The key, Sundeen suggests, is for people not to follow the "reality-TV bad example" of making a dramatic but cosmetic lifestyle shift, like moving into a tiny house. He describes the changes required as more spiritual and ethical, addressing where our food comes from and where our money goes, and the consequences of those choices. The result could be not a sense of obligation, but a desire to live a different way. "If I was going to put this into one sentence, what people need to do is follow their heart and find what's meaningful," Sundeen says. "Because I feel that so much of our waste in society is a result of people doing work that they dislike for most of their waking hours, so they need this material reward. When you find meaningful work, I feel like a lot of those other needs fall away."